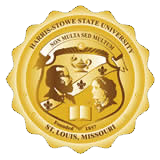 At the first meeting of the academic year the standing committee will elect the chair of the committee and a recorder who will transmit information to the Faculty Senate for posting on the website via email: FacultySenate@hssu.edu. The chair may be elected for a one or two year term with a possibility of re-election at the pleasure of the members of the standing committee. The recorder will take minutes and attendance at the meetings and keep the website up to date with information about the next meeting date and agenda. Each full-time faculty is expected to participate in at least one standing committee. Staff and students are also assigned to the standing committees to facilitate participation of all constituents of the university community. Assessment of Student Learning Committee is responsible for the monitoring and review of the Institutional Assessment Plan. Business Administration Council serves in an advisory capacity and reviews all policies and programs affecting degree programs offered by the Business Administration Department. The Council shall also be kept apprised of those regulations required to maintain accreditation with the International Assembly for Collegiate Business Education and to gain initial accreditation from the Association of Collegiate Business Schools and Programs. College Calendar Committee is responsible for reviewing and recommending all activities and events related to the formation of the academic calendar. Educational Policy, New Programs, and Curriculum Committee is responsible for reviewing all recommendations from all departments/areas with respect to educational policy, new programs, and curriculum matters. Education and Technology Committee develops and implements activities to increase faculty, staff, and student understanding and use of technology and its application to teaching and day-to-day operations of the University. General Education Committee is responsible for reviewing all recommendations regarding the general education core. Rank & Tenure/Sabbatical Leave & Fellowship Committee is responsible for reviewing all recommendations from all departments/areas with respect to rank and tenure/sabbatical leave & fellowship activities, and shall recommend appropriate action to the office of Academic Affairs. College Education Council is responsible for determining all policies and programs affecting teacher education. This committee shall also observe those regulations required to maintain accreditation with the Missouri Department of Elementary and Secondary Education and the National Council for the Accreditation of Teacher Education. Arts and Science Advisory Council is responsible for reviewing all policies and programs affecting the degree programs offered by the Arts and Science College.